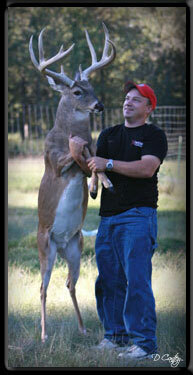 Daniel Ross with his trophy white tail buck named "Buster". 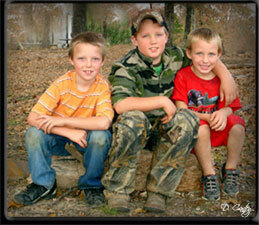 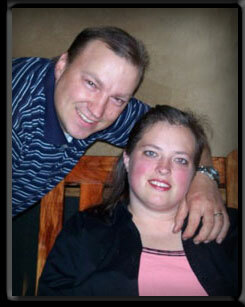 Pictured right, Daniel with LaDawn and their three boys Mason, Hunter and Christian. 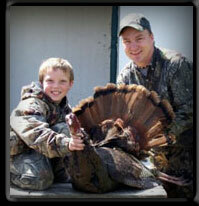 Pictured above, Daniel with Mason Ross and the turkey he harvested. 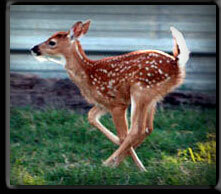 A young fawn raised by the Ross family who often care for orfaned wild animals. 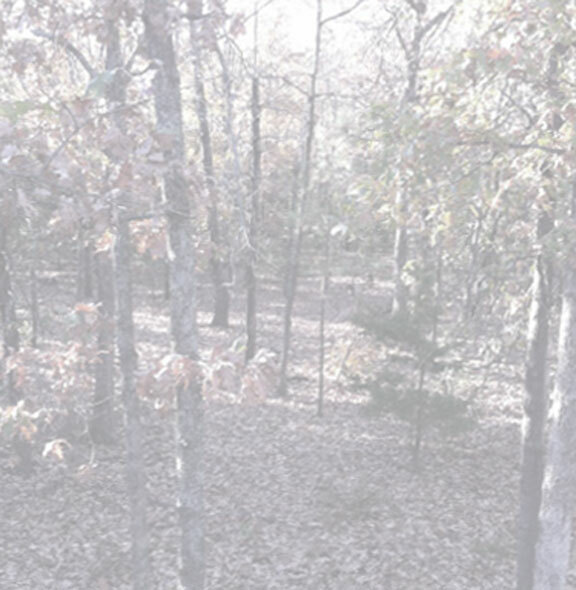 We have successfully moved into our new 7,000 square foot building which features a reception area, show room, spacious work areas, kitchen, offices and a future classroom for Taxidermy instruction.